Freke and Walewska joined forces for 2016 through the support of Westons and the University of Bolton. Walewska enjoyed a mixed debut British GT4 season in 2015 and having already tasted victory at the 24 Hours of Dubai on her debut with Century Motorsport in January, it looked as if she would have all the ingredients required to be in a position to race at the front this season. So far, she has done just that. With a spring in her step and a fresh air of confidence, Freke and Walewksa put their #73 Ginetta G55 on pole position at the opening round in Brands Hatch, in what looked set to be the start of good things to come. Finishing that round in second position, the pair have gone on to fight at the front each weekend since, and Silverstone this weekend looks set to be no different. Nathan needs no introduction. 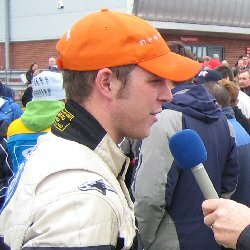 A multiple champion in various formulae during the years and a former McLaren Autosport BRDC Young Driver of the Year nominee, Freke has made a number of one-off appearances in the British GT4 Championship over the last couple of years and has rarely been off the podium on each occasion, which earmarked him as one of the pre-season championship favourites. 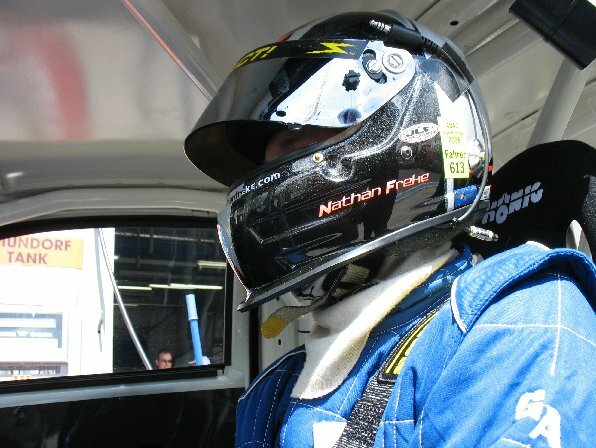 Nathan has rarely been outside the top three in any session so far this season, with highlight performances at Brands Hatch and Rockingham, coming from well down the order to put their car into podium contention. Making no secret of his desire to win the championship’s longest race of the year, the GT4 battle should be entertaining to say the least this weekend. Nathan retains Ten of the Best 1/4 mile title and adds Shootout title to boot! 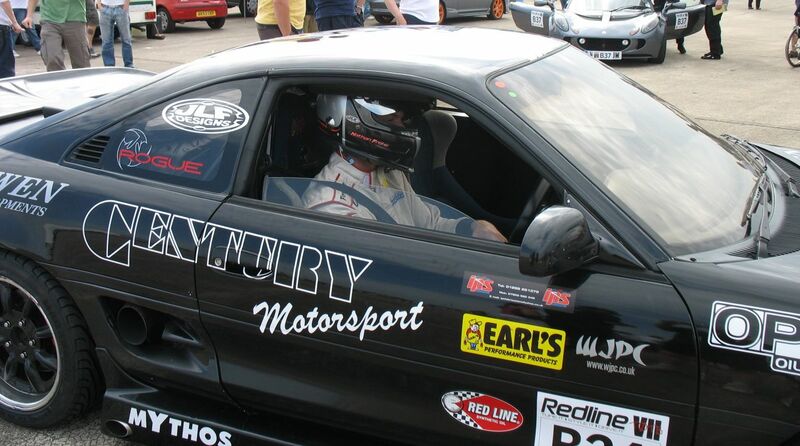 Nathan took his self prepared road Toyota MR2 to Elvington airfield on to defend his Ten of the Best RWD drag strip title. Ten of the Best is the UK’s premier event for road going performance cars, and all competitors vehicles must have MOT, Insurance and TAX. The event, sponsored by Redline Magazine and Millers Oils, attracts over 15,000 spectators who come to watch the cars take part in 3 tests, handling course, top speed over 1 km, and the most popular, the standing 1/4 mile drag race. In 2007 Nathan took the honours with a European best time of 10.41 seconds in the 1/4 mile drag section, and was hoping to make an attempt on the World best mark of 9.7 seconds this year, unfortunately the weather conditions were too hot to allow the cars to develop sufficient power to put in record breaking fast times and the whole range of vehicles were slower than in 2007. The event is split into 3 categories, front wheel drive, rear drive drive, and 4 wheel drive, other than that all cars in the classes are not handicapped. Nathan’s 2 ltr MR2 competed against 8 ltr Dodge Vipers, 3.6 ltr Toyota Supra’s, a 3.5 ltr twin turbo Ford Granada and various other exotic cars. In addition the leader boards only show the overall fastest cars, not by class. Nathan’s handling course attempt was cut short by an oil leak, although he was not expecting to run at the front of this discipline as the power output at over 700bhp made getting traction difficult in the corners - but he still finished quickest MR2.On the drag strip Nathan won his class comfortably and was the only rear wheel car in the top 20 overall fastest times 12th against all the 4wd cars, in 10.84 seconds. In the RWD final shoot out he was up against the 3.5 Granada which has over 1000 bhp and comfortably beat the car in a straight drag race. This gave Nathan 4 trophies in total, RWD fastest time, RWD Drag Race Shootout Champion, Fastest RWD Turbo car, and Fastest Japanese RWD. In the third discipline the standing kilometre Nathan finished 7th overall across all classes with a run of 169.9 mph, in 20.36 seconds. Most of the front running cars at the event are prepared by teams and dealers to show off their tuning businesses, Nathan’s car is self prepared with the support of Marangoni Tyres, Owen Developments (turbo), Wizards of NOS ( nitrous oxide power), Rogue ( engine mapping ), and lots of time and effort. Nathan is taking the car to Santa Pod on the 9th August to make an attempt on the World best time for an MR2 road car if the weather is cooler. Nathan will be returning to his car racing roots this week after being invited to test and race an Aquila Formula Ford Duratec in the Danish FF Championship. Nathan is flying out on Tuesday for a seat fitting and then some testing prior to the race at Padborg Park at the weekend. 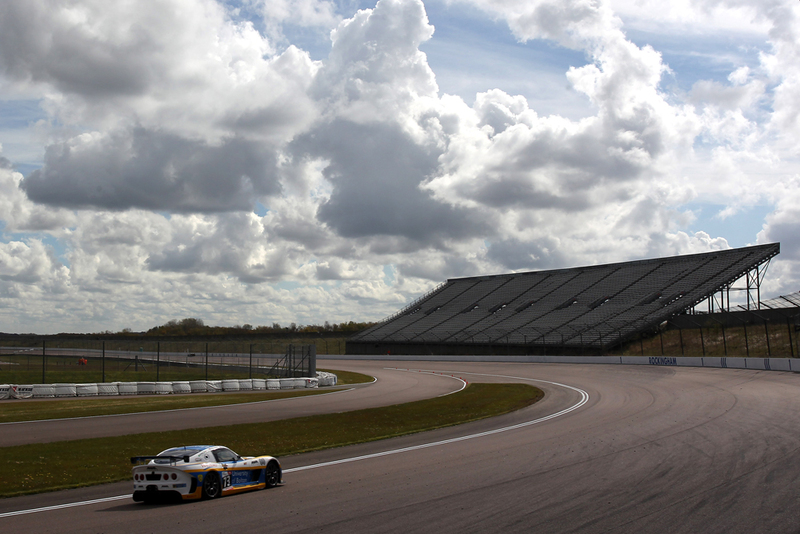 The Aquila is leading the Danish Championship driven by Kevin Magnussen, son of Mclaren F1 legend Jan Magnussen. However Kevin’s teamate is on holiday and the team approached Nathan to give his view on the car and some technical feedback to help improve an already impressive product. Nathan was also asked to race the car at Spa last weekend against the UK and Benelux racers but could not compete because of prior commitments. Nathan has generated a lot of interest with the local newspaper sports editor, Peter Mckinney, resulting in being invited to interview for a podcast on the papers website. The podcast will be up on the papers website from 07.00 - 7th June and can be heard by clicking in the link below. Nathan will be discussing his experiences in the USA, his hopes for the future, and the difficulties of progressing in motorsport. Following the recent disappointment of having to quit the Firestone Indy Lights series in America, multiple British Champion racer Nathan Freke will race in the 24 hour Nurburgring race 24th/25th May. 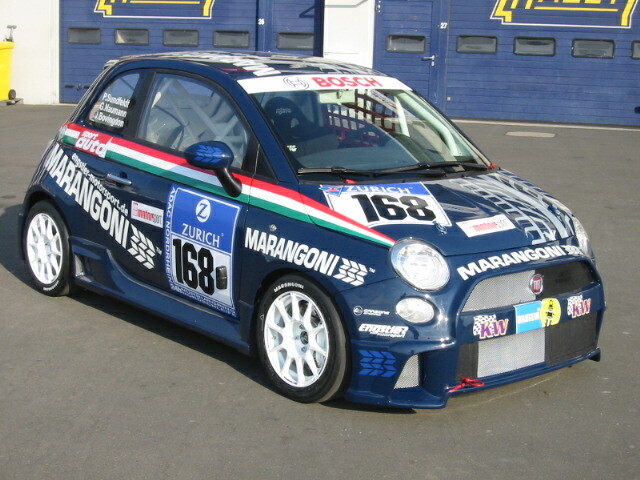 Nathan will be racing in a Fiat 500 R race car funded by one of his long term personal sponsors, Marangoni Tyres. The car is the only Fiat 500 in the race run on the legendary Nordschleife circuit which is over 14 miles in length. Nathan’s co drivers will be journalists from the UK, Austria, and Germany. 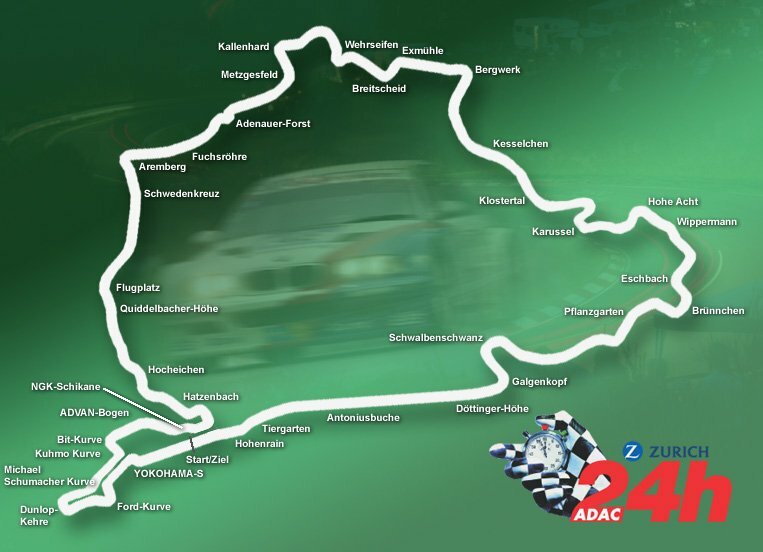 The Nurburgring 24 hour is considered to be one of the most difficult endurance races to compete in because of the concentration required on the 14 mile lap compared to the much shorter circuits used in other races. The entry list shows over 220 entries covering a multitude of classes. Nathan will attend a “Nurburgring School” on the 20th and 21st to familiarize himself with the circuit, prior to day/ night testing on the 22nd to get used to night driving. KIDDERMINSTER driving ace Nathan Freke showed that he can take the pressure by recording his first top ten finish in the Indy Lights Series over the weekend at St Petersburg. Nathan did his best to bounce back from a disappointing 20th place in round two at the St Petersburg street race on Saturday by finishing eighth 24 hours later on the same course in round three of the championship. His high finish saw his position in the drivers’ standings rise to 17th after a testing start to the season. Freke had been beset by technical problems which have yet to be ironed out. But the help of an experienced driver in testing meant that the set-up of the car was more refined to his needs. Despite his new found speed he struggled to find race pace and qualified for the competition’s second round in 22nd place. He made a blistering start by overtaking several drivers and looked set for an assault on the top 15 when he spun off the track on a low speed corner and damaged his rear wing. After repairs and the loss of seven laps he finished in 20th place. But Nathan bounced back emphatically in round three in St Petersburg. Starting in 20th place he weaved his way through his opponents and headed into seventh place, before he was pipped on the final lap and settled for eighth. Nathan will be hoping that the technical problems which beset him in the first round of the Indy Pro Series in Miami can be ironed out for the next two rounds at St Petersburg Honda Grand Prix meeting. His hopes of a strong start in the popular American series were dashed after problems with his Dallara car meant he could only finish in 20th place at the Miami Homestead Speedway oval track. 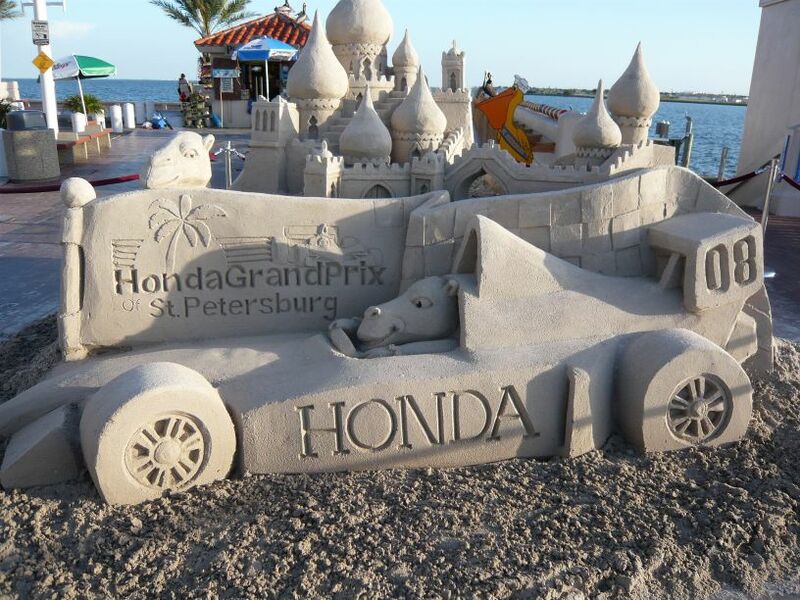 Nathan should be more at home when he and team Michael Crawford Motorsport go to St Petersburg for two rounds of street circuit racing on Saturday and Sunday. 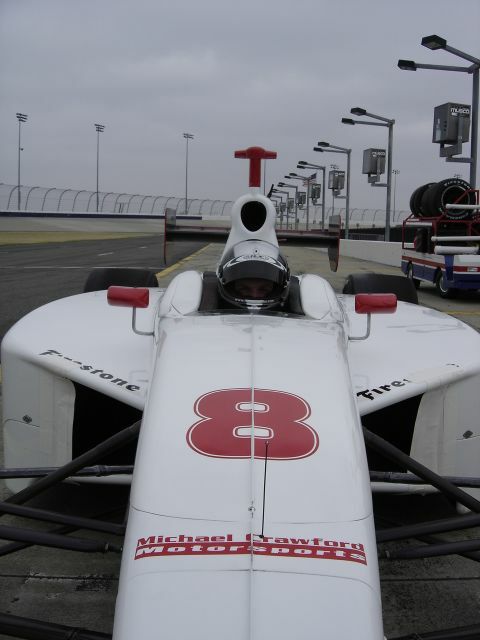 The 2006 Formula Ford champion and the team have spent the week testing the car at the Sebring International Raceway to fix the problems encountered at Homestead. Preparations for the first race in Miami were hampered when his final chance to get some practice on an oval stopped short after his car broke down. 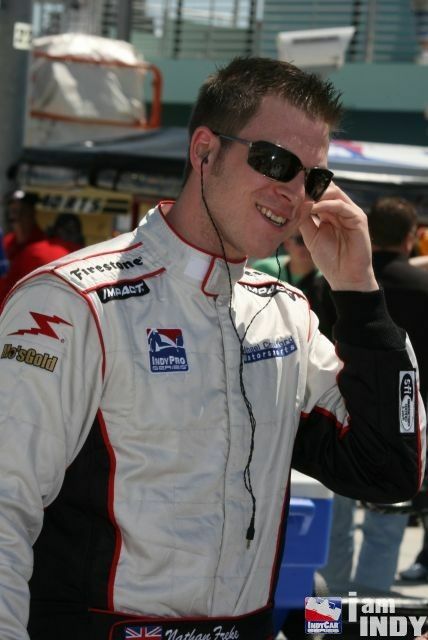 Despite a new engine Nathan suffered a reccurrence of the problem during the first test session at Homestead. While it was fixed in time for the second and final session before qualifying, the lack of setup time meant that Nathan was not comfortable with the car’s set-up and struggled to find race pace only securing 17th place on the starting grid. He suffered another set back during the start, after an error by one of the drivers blocked the second half of the grid from beginning the race. Nathan battled on but his frustrating day was completed when he was blocked by a car in front and slipped to 20th. Now he will be aiming to bounce back on the streets of St Petersburg this weekend. Hopefully the technical issues will be resolved and Nathan can show what he is really capable of. Nathan will now participate in the first official test on the Homestead Oval in Florida on the 28th Feb, prior to flying home .